Do you have an industry specific reporting needs? Do you need your books with you on the go? How many users will you need? Will you track sales by special divisions or categories? Will you need to issue Form 1099 MISC at year end? Will you have inventory? Will you have employees? Will you process your payroll in-house or outsourced? 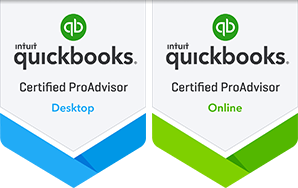 We will help determine which version of QuickBooks is the best fit for your new business. Your Chart of Accounts is the framework for many reports in QuickBooks. We can help you choose from the industry templates provided and customize from there. The Item List is the “behind -the-scenes” accounting for products you sell, inventory and job costing. We will help you create a custom Item List for your industry. Customer and Vendor lists can be created in your new file, with available custom fields if needed. Custom form setup for invoices, statements and more that can include your logo. Create recurring transactions to save data entry time. Permissions set for each user to specific areas of QuickBooks. Training your team is crucial to a successful start. Users will learn the correct work flow for their job and how all the pieces work together.